Blood tests are crucial evidence in many Colorado DUI cases. Following an impaired driving arrest, a driver usually can choose to take a breath or blood test. Read the rest of our blog post, Colorado State Agency Under Scrutiny for Processing of DUI Blood Tests.An internal report from the Colorado Department of Health recently raised questions about the processing of blood-alcohol and blood-drug tests by the state lab. The report describes an environment where a supervisor made comments favoring the prosecution and did not properly train employees who completed and testified in court about test results.Since the release of the report, testing of blood samples has been shifted to private labs. Retesting of 800 samples for accuracy during the suspicion will also occur. An officer must have a reasonable suspicion that a driver violated a traffic law to stop a vehicle. Speeding or weaving in the lane are often enough to justify a stop. If the officer smells the odor of alcohol or marijuana during a stop, he or she may request the driver complete field sobriety tests.Field sobriety tests may include the walk-and-turn test, the horizontal gaze nystagmus (where the officer watches for jerking movements of the eye), the one leg stand or a preliminary breath test. When a driver fails these tests, the officer will arrest the driver on suspicion of a Colorado DUI. These tests do not prove an individual was over the legal limit. The Colorado express consent law may allow a driver to select either a blood test or a breath test. The test result is what the prosecution generally relies upon to prove that an individual was driving while impaired by alcohol or drugs. In trials, a toxicologist or chemist will often testify about the how the blood-alcohol content is determined and then will provide the individual's results. Unfortunately, a jury may believe flawed testimony that includes opinion rather than solely scientific facts. Improperly trained employees might not fully understand a test's margin for error.Robert Lantz, director of Rocky Mountain Instrumental Laboratories in Fort Collins, explained the problem to the Denver Post. He said, "If you don't understand how things work, you don't understand how they don't work, where the screw-ups happen. 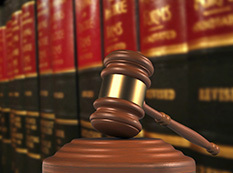 "An experienced lawyer can advise when it may be appropriate to challenge the validity of a test. Handling many cases offers insight into flaws that can skew results. Following a DUI arrest, be polite to the officer, but request to speak with an attorney as soon as possible. The initial decision whether to submit to a blood or breath test could affect the length of your driver's license suspension for instance. If a law enforcement officer does not follow proper procedures, grounds to contest the charges may exist.